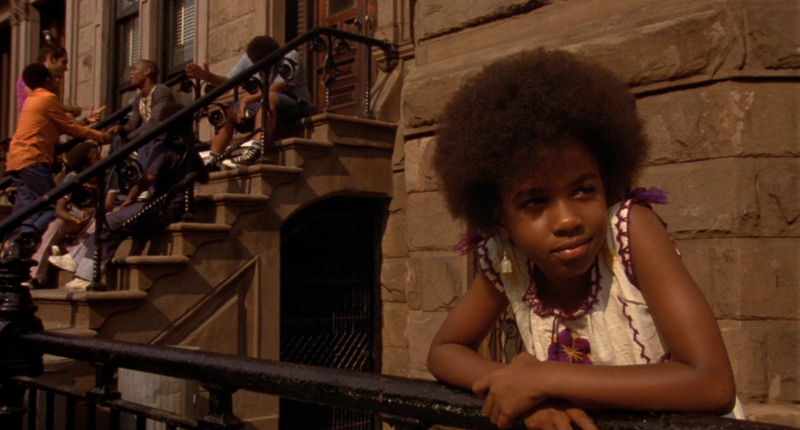 “Crooklyn” (1994) is a Spike Lee film about a nine-year-old girl growing up in Bed-Stuy, Brooklyn, New York in the summer of 1973. Imagine if Spike Lee had done “My Girl” (1991). Sort of like that. Except that it is one of the few well-known American films where the main character is a black girl. Spike Lee’s sister Joie Susannah Lee wrote and produced. It is loosely based on her life. Alfre Woodard plays the mother. My Rule of Alfre: No matter how bad it looks at first, if Alfre Woodard is in it, it will be well worth watching to the end. Back in the 1990s I did not fully understand that, so I stopped watching “Crooklyn” after 20 minutes. I thought it was terrible. Watching it now I can see why: it has no plot and, for the first 40 minutes, no main character. Because it is a Spike Lee film, I thought the oldest son, the one with the glasses, was the main character, but it turns out to be his little sister Troy (Zelda Harris). She has four brothers but none of them stands out as a character in his own right – they are just her stupid brothers. Instead her father (Delroy Lindo) and mother stand out. Brooklyn is the centre of the universe. The early 1970s had great music. Family is important: never take it for granted. Nothing about race in this Spike Lee joint: Troy pretty much lives in a protected, all-black world, a New York ethnic ghetto. Like “My Girl”, also set in the early 1970s, it does not seem particularly dated. While it hits you over the head with the music and games and television of the period, like it was a VH1 flashback show, everything is too staged and nice-looking. Gone are the terrible songs and terrible clothes. The utter tackiness of that period never comes through – helped in part by her mother’s distaste of polyester and her father’s distaste of rock music. Still, it makes wonderful use of period music. Especially “Never Can Say Goodbye” (1971) by the Jackson 5 and “Oh Girl” (1972) by the Chi-Lites. At one point Troy stays with her aunt down South for a few weeks. Her aunt’s house is filmed through an anamorphic lens: everything seems too narrow, like it was an alternate reality. Her aunt had the whole middle-class fake thing down perfectly. When Troy gets a letter from her mother it is a breath of fresh air. Troy could not wait to get back to Brooklyn and neither could I! This is one of my all-time favorite Spike Lee joints because I, too, lived in a protected all-black world as a child and loved every minute, second, and hour of it! There were few worries that stemmed from the community at large. The movie closely parallels my childhood with the exception that both my parents worked and my mother is still alive. We all know why movies like precious gets more press than positive black movies like this.Hollywood sells sterotypes and drama,precious has both[brute sapphire,and mammy sterotypes] while movies like these have neither.They want to keep movies like precious around to show blacks as not human and are violent and abusive.I didn’t watch precious but people said it was like the color purple just worse.one minute they show a movie like precious where the father rapes and impregnates his daughter then they show movies that have the father being absent a deadbeat.Its most of hollywoods job to destroy the way people look at the black community. The message is a black father who is in his childs life is abusing them or he is not there.Whites can live their whole lives and not be around blacks and watch movies about blacks and think that’s how we act because they don’t have real blacks around to show those sterotypes aren’t true.Blacks grow up and be around whites all the time so when i see shows like jersey shore i know not all whites act like that. 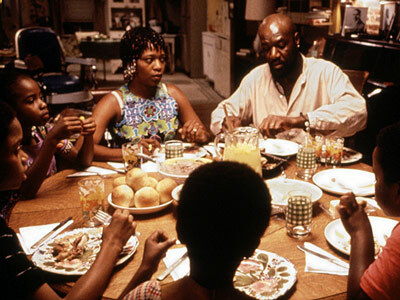 Crooklyn is one of my favorite Spike Lee movies. It was sweet and poignant. I loved the dynamic of the family. It always broke my heart when Alfre Woodard’s character dies. The kids was always too cute. It is also a sweet bit of nostalgia. The Soul Train line dance. The natural hairstyles it was just a sweet homage to the 70’s. Didn’t see Claudine. Precious was hard and ugly to watch. I remember sitting in the theater. White people were uncomfortable and there was nervous laughter coming from them. They were laughing in all the wrong parts of different scenes in the film that were uncomfortable. I don’t care for Lee Daniel’s work. I hated Monster’s Ball as well. @Peanut ; Lackawanna Blues was an excellent film. The little girl in Crooklin just stole my heart. 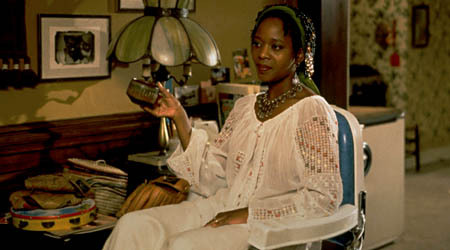 I always liked the Alfre Woodard’s character always referred to her as “Ladybug”. Such a special bond between a mother and daughter. @Legion; I wanted to give it a chance to see what it was about. Big Mistake. I thought that was just a disgusting film. And I love movies. But Lee Daniel I am not a fan of director Lee Daniel’s work. Abagond, you should do a review of Black Belt Jones / Jim Kelly. Of course the inherent coolness of the 70s pics might be enough. Lol!. 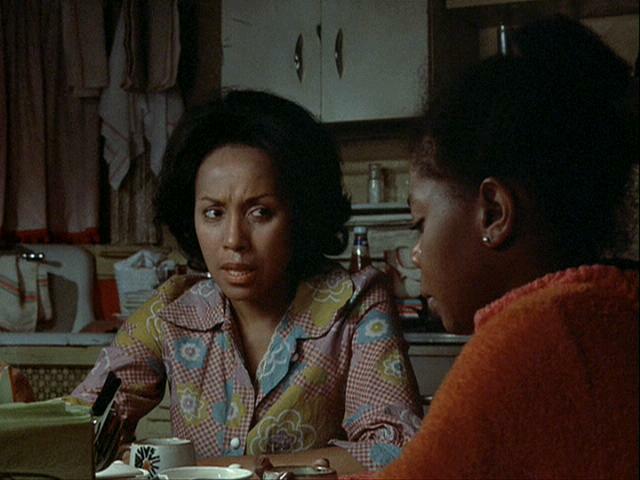 Another fan of Crooklyn, this movie is one of my top favs that I can watch at any point and sit to the very end. Such a lovely coming of age story. Favorite scene is when the Aunt is looking for *Queenie*, hilarious! I just recently watched this on HBO. Because white feelings about blacks are limited. They can fear them, laugh at them and sometimes pity them, but putting themselves in their shoes and feeling empathy is hard for them to do. Their lack of outrage at, say, Katrina or police brutality shows that. Empathy requires a sense of equality (“that could be me”), while pity, fear and laughing at someone do not. Joie rhymes with Troy? I thought Ms. Lee pronounced her name ‘Zhwah’ not ‘Joy’? Sometimes it’s hard to know if I like films with all Black characters, who are not stereotypes, just because there are Black people on the screen who aren’t stereotypes or if I really like the content of the film. Crooklyn falls into that category for me. I love this movie, this is honestly one of Spike’s better movies. I am watch this now. It’s on BET. I still love all the 70’s nostalgia. There is one scene where the kids are watching television and “The Partridge Family” is on, they are singing along with David Cassidy “I Woke Up In Love This Morning” It is just so sweet. That was such a sweet time in life. Well, pop culture wise it was fun. Watu Wazuri, use Afrosheen, “Beautiful people use Afosheen” Black people were so beautiful then, black men loved their black women then. I loved all the natural hair styles in that film. Troy’s braids and Alfre’s braids were just everything. I wish I would’ve caught the beginning of the movie on bet. it was so beautiful the way it showed the father caring for his kids after his wife’s death and how the young girl stepped up. I see I have to watch movies from the 80s and 90s to see black people in a positive way and in a loving functional family. parts of the movie kind of reminded me of everybody hates chris lol. bahwahw I looked up the afro sheen blowout kit commercial lol. and sulfur 8 commercial to cute, but that stuff stinks. love the fros in the commercials. @mstoogood4yall: It’s a wonderful film. LOL at Everybody Hates Chris. Hey mary. I will have to watch the whole movie online somewhere. but i d watch Hollywood shuffle and it was funny and very true. @mstoogood4yall: That’s a funny movie. yeah the grandmother in that movie was funny and didn’t play then I remembered her being on 227. I miss those great shows. Wow, I never watched it because of my dislike of Spike Lee but I guess I’ll give it a chance. Hopefully I have grown up enough to watch it. Although, having been through part of the 70’s I still don’t see how you can avoid the cringe worthy fashions. I still cringe at butterfly collars and bellbottoms, and if another white person ask me to grow a fro I am going to burst. However, I do have a leisure suit to don on and it is powder blue fantastic. There was only three black cartoons when I was a kid, I didn’t like any of them but I watched because they were supposed to be black. If I had to pick a favorite it would have been Rickety Rocket (as if that was all blacks could do was get around in a beat-up rocket car.) I dislike Fat Albert but watched it any way. I was on the fence about Scooby-Do and the Harlem Globe Trotters. Wait I also think the Jackson 5 had a cartoon. Life in the late 70’s and early 80’s was a blanket of snow. More like a blizzard, you could hardly get around without having to strain to see through it. Spike Lee did not help especially with the movie Jungle Fever, so I banned all of his movies. @ King Of Trouble: I feel you, the 70’s and 80’s were not your favorite decades, But, I loved the Jackson Five cartoons. I loved the Jackson brothers. I have always been a huge Spike Lee fan. But, It’s ok for you to feel like you feel about Lee as a film maker. I can respect that. It isn’t his (Spike Lee) fault really but at the time my father side of the family thought it was a shame that I would marry white. I hadn’t really even gotten into double digits and my life had been put into he’s got Jungle fever. (Plus I respect the h-e double hockey sticks out of his Malcolm X.) If I had not been what everyone considered an Oreo I would have had the time of life but not in butterfly collars, polyester, or bell bottom and nikes before they got big. aw come on king of trouble I think some bell bottom pants look nice I don’t really like the ruffle looking ones though. what person would ask u to grow a fro they must want to touch it lol. @mstoogood4all, all I remember about them is during Chicago winters or rainy days bellbottoms cling to your legs like an unwanted lover. Of course they do, people be thinking why can’t he be dog so I can pat his head whenever. So I remind myself why I don’t pat theirs. I am not particular to lice. That is an insult that my paler adversaries never got. If you call me a n—word I am just going to call you a louse. Way over their heads, if we have to have an enemy couldn’t they be more intelligent. Good read. You were right about the first 40 minutes and even applies to the overall film. Limited plot/story. Which makes its ability to work that more impressive. The hodge podge pieces come together. Working on the film, I had no idea the life the film would take on with audiences after its boxoffice failure. One note though on your review, the film does have some interjection of race with the white neighbor (D.P. Kelly) conflict. I love reading post on this now beloved film. Video and cable have been kind to this film.